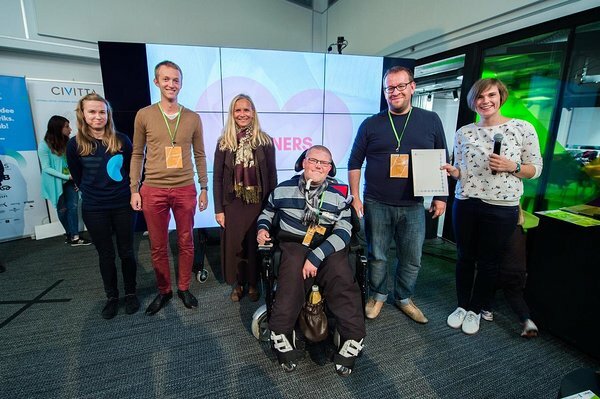 Around 80 people gathered in the first weekend of September at the SEB Innovation Centre in Tallinn and combined their knowledge, personal experiences and know-how to work hard on 7 innovative ideas that would develop the well-being of Estonia. The final evening started with an inspirational speech by one of our dear mentors Andra Altoa (SEB) and continued with sharp pitches by the teams. 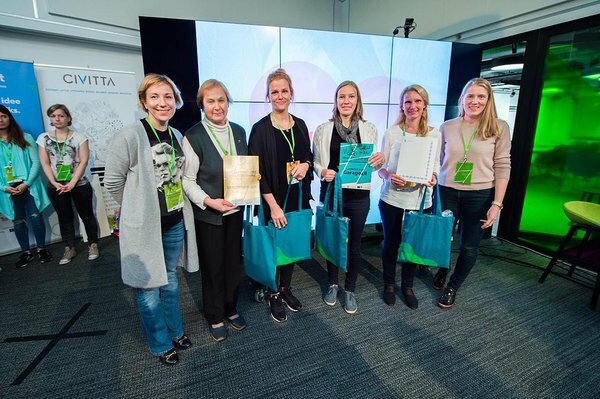 Big thanks to all of our mentors and jury members Elise Sass (Garage48), Ilja Livenson (OpenNode), Mari Rull (Corrigo), Liis Narusk (Elevate by Garage48), Pirkko Valge (Heateo SA), Kitty Kubo (Tehnopol), Gunnar Läll (SEB), Maarika Truu (Garage48), Mari Arnover (Smart Creative), Rait Kuuse (Ministry of Social Affairs), Harri Tallinn (Ajujaht). CareMate is a platform that matches care seekers with professional care givers providing care givers web based video courses. Hope Holders connects people in need of emotional support with peer experts. Disability Hotel's aim is to create a hotel that has an environment where people with special needs can learn skills for work and their independent lives. Life Access is an online portal accessible by people with special needs & their close ones with information about activities available to them, places accessible etc. Thank you for those teams who made it to the finals and shared their ideas and products to the jury and the audiences! Remember me? 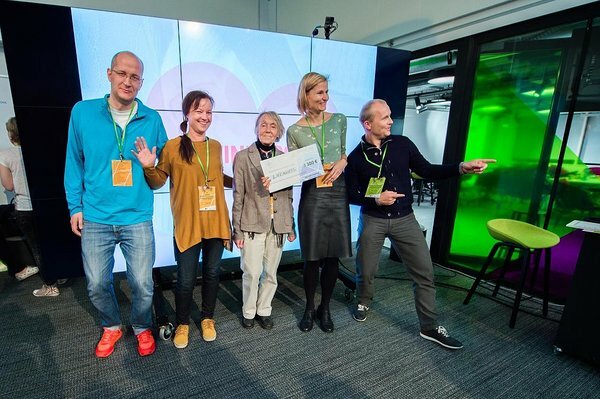 's goal is to bring participatory culture to Estonian museums and initiate a discussion about social isolation of elderly people with dementia and the way that art could improve their well-being and social relations. Don't be a Burden provides a marketplace to find a psychologist and register online. 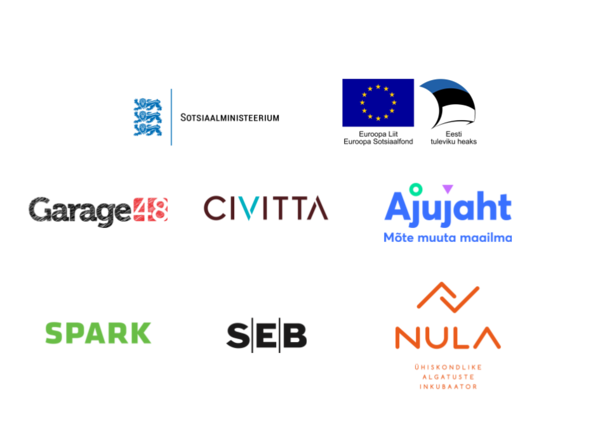 InFunds.EU aims financial inclusion for marginalised group of people & access to EU banking via Estonian E-resicency program. Big THANK YOU goes to our sponsors & supporters. 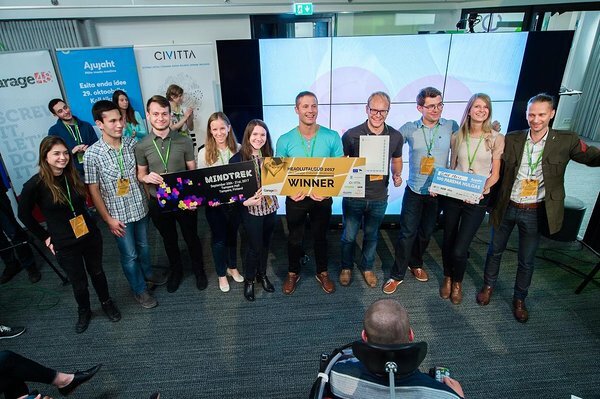 The event was organized in cooperation with Estonian Ministry of Social Affairs & CIVITTA Estonia. This event was financed by European Social Fund. We would also like to thank Ajujaht, Mindrek, NULA, Saku Spark and Balsnack for their support.